Locksmith Calabasas is a local car locksmith that specializes in automotive services, or in other words vehicle lock mechanisms. We’ve been in the industry for many years and are always looking for new ways to solve customer problems. 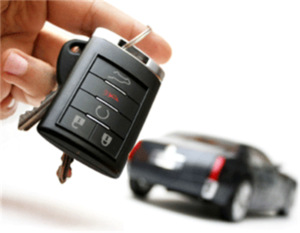 We perform different types of services including duplicate key, keys made for midnight lockouts, making car keys, fixing ignitions, car keys replacement and duplication of car keys. We’re not just limited to street vehicles but also work on utility trucks, military vehicles, and city vehicles as well. All of our technicians are certified, insured and bonded. Nowadays, we are in an age where you can start your car with the push of a button. So you will need a locksmith that you can count on to be there for you if you run into problems. Locksmith Calabasas takes your car needs very seriously and will come to your location in a timely manner. In addition, our average response time is about 20 minutes from the initial call. So we do our best to get to your location as quickly as possible. We believe that if a customer is treated well and cared about then they will come back for more service. Don’t hesitate to call us anytime day or night as we are a 24-hour car locksmith service that is open 7 days a week and 365 days a year. All of our technicians are on standby waiting to come and help you out of a sticky situation. Whenever you need us, we are but a phone call away. For any automotive locksmith needs give us a call at (818) 674-4078.